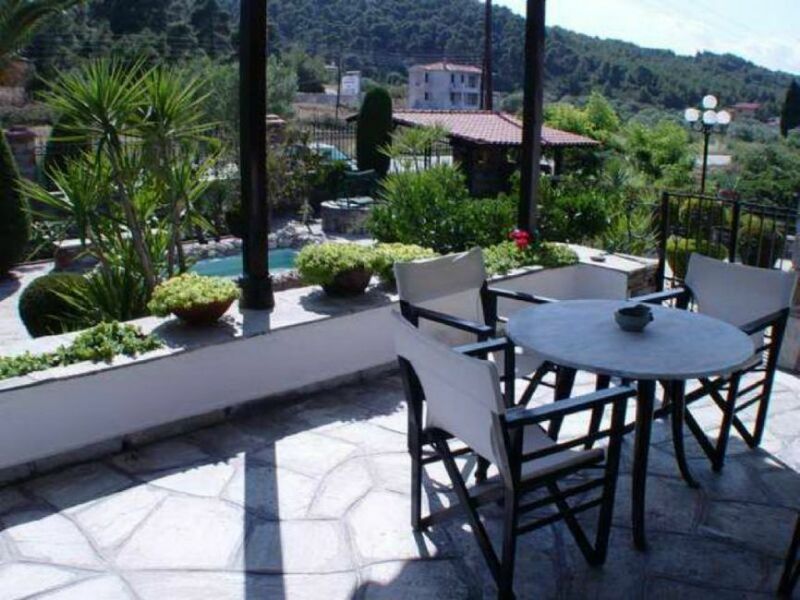 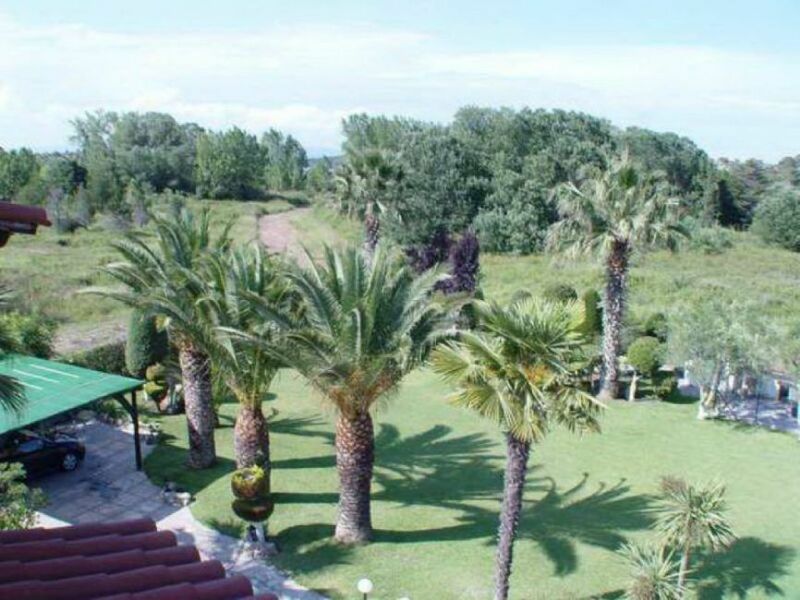 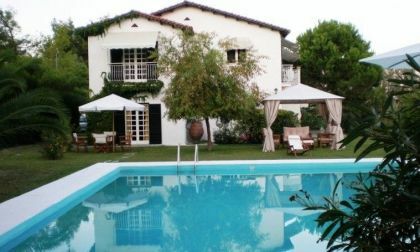 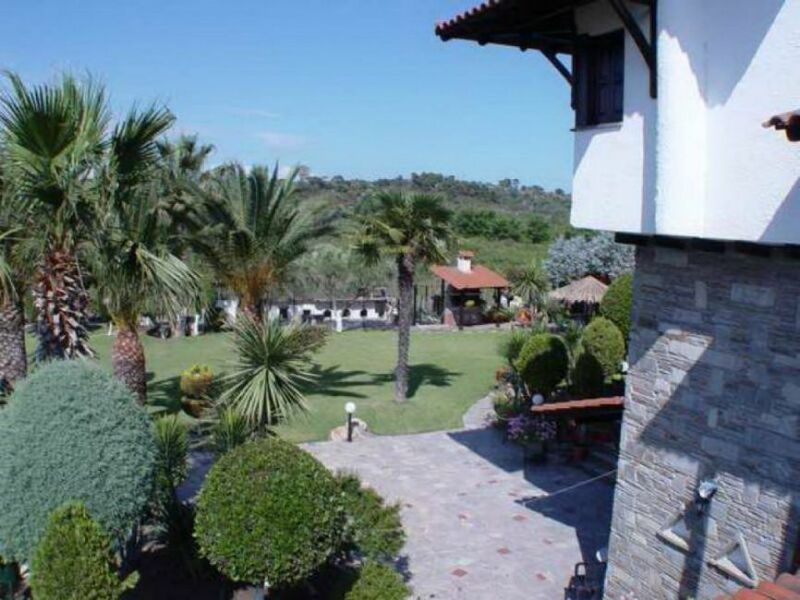 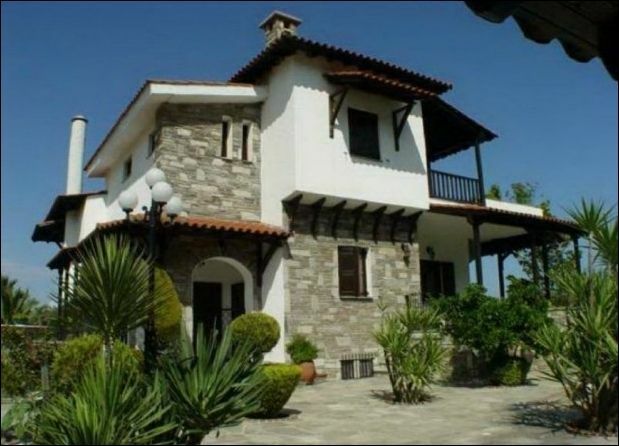 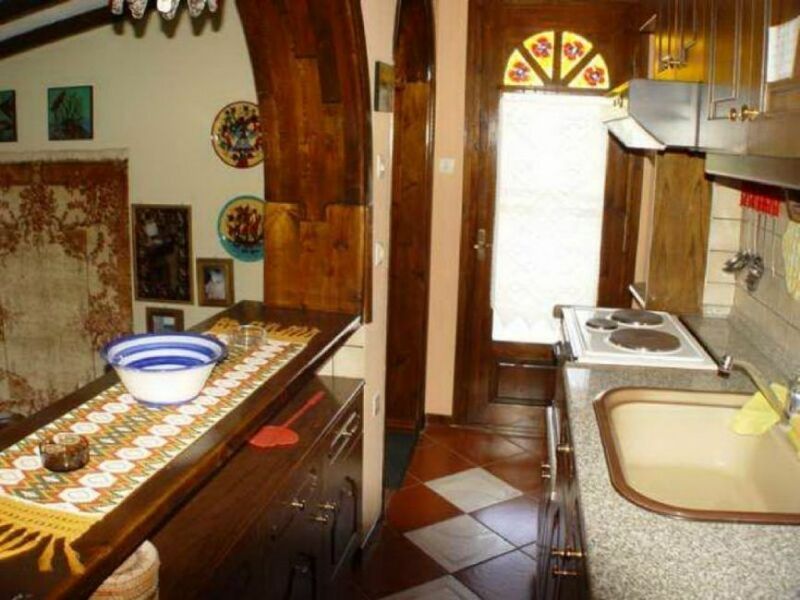 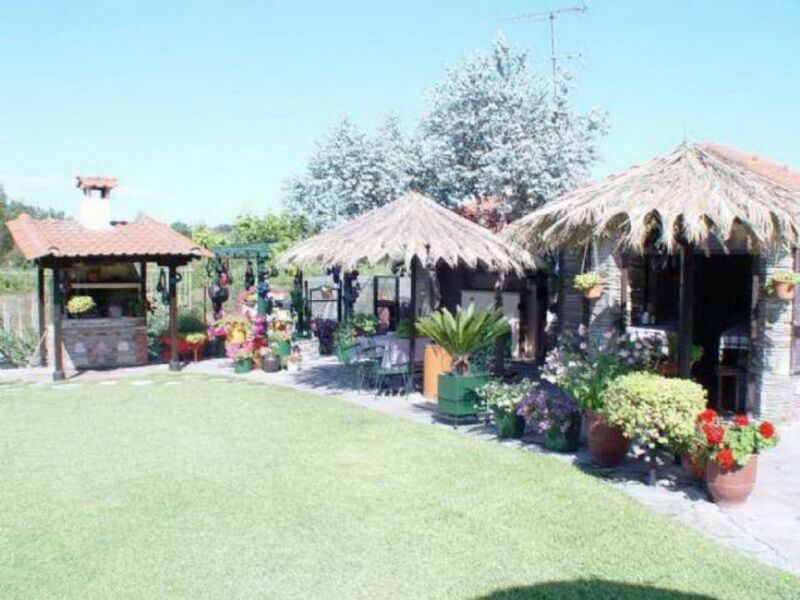 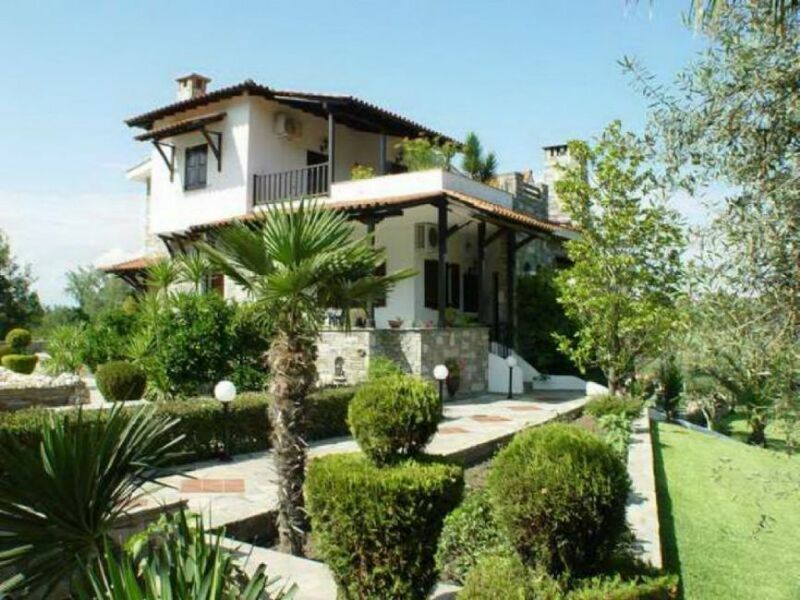 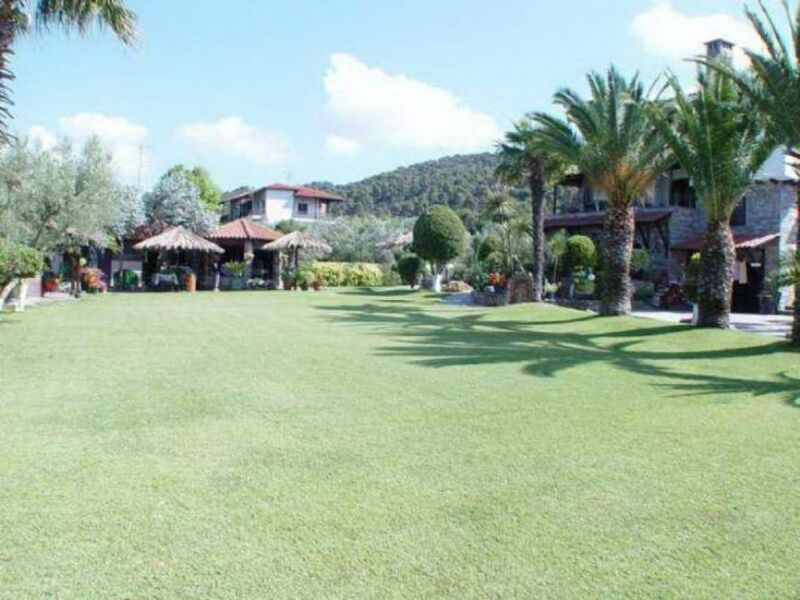 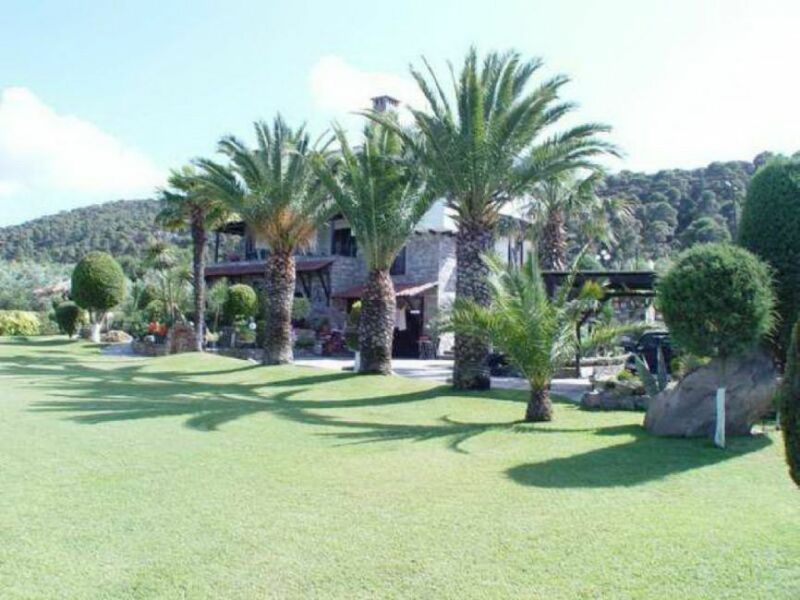 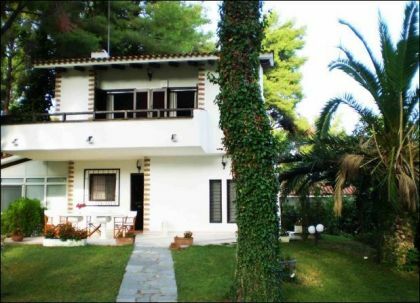 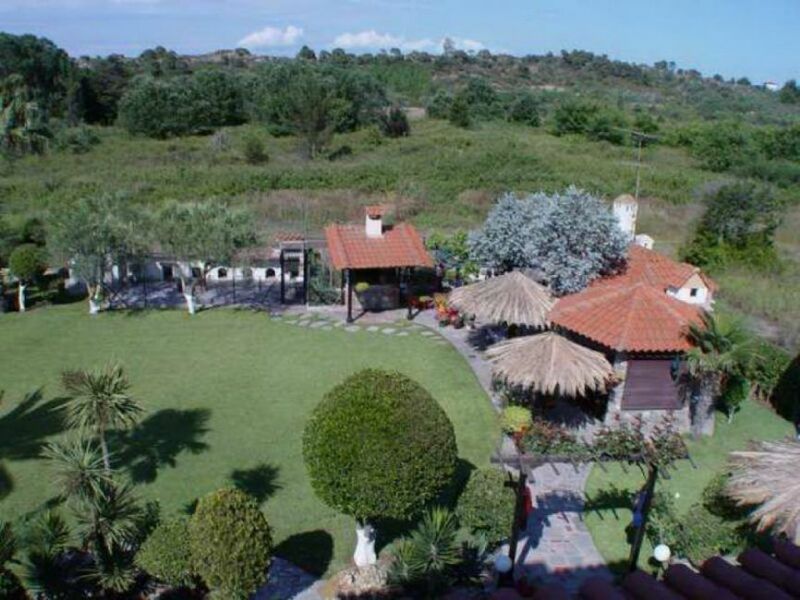 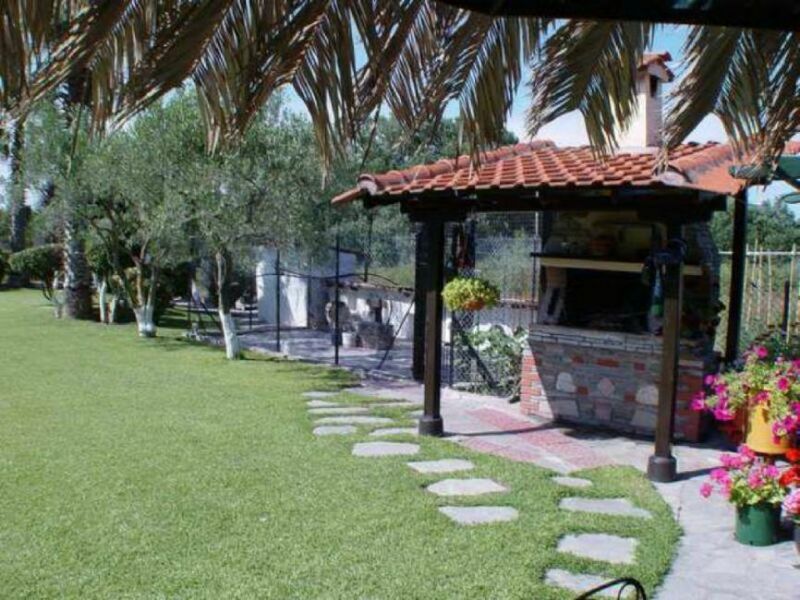 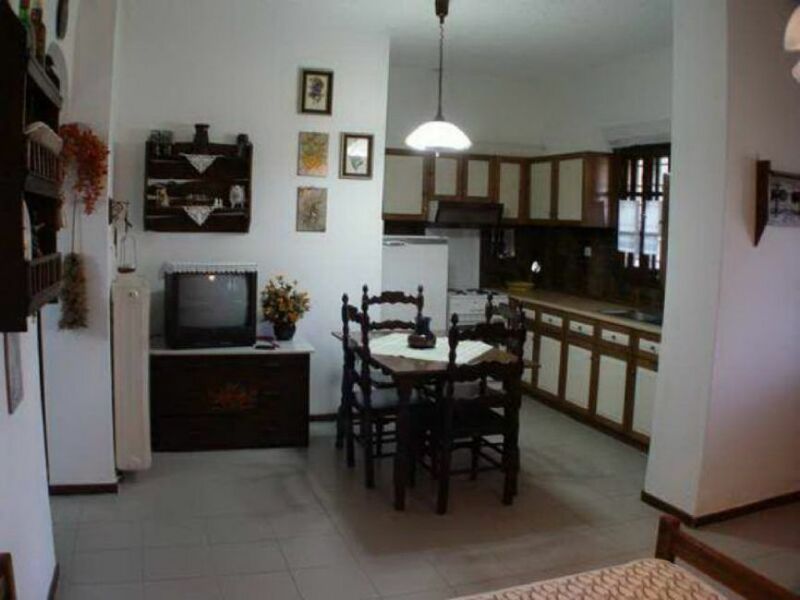 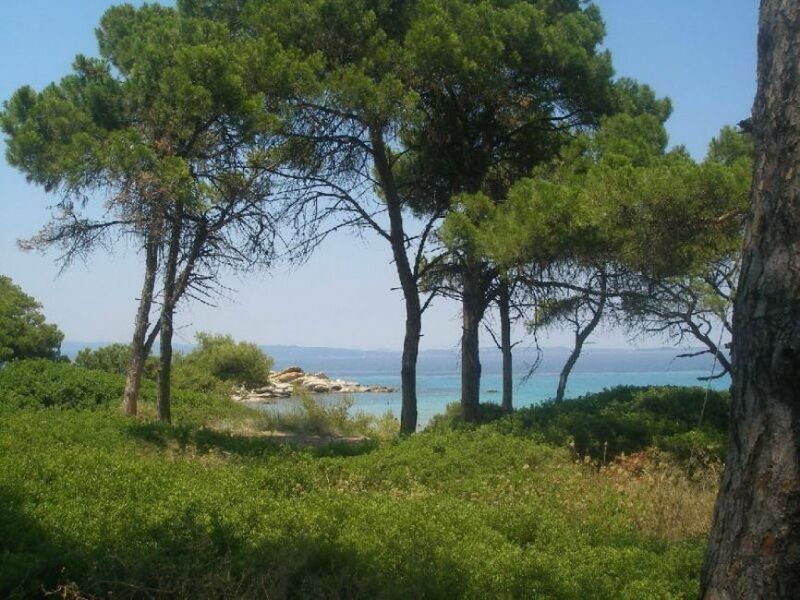 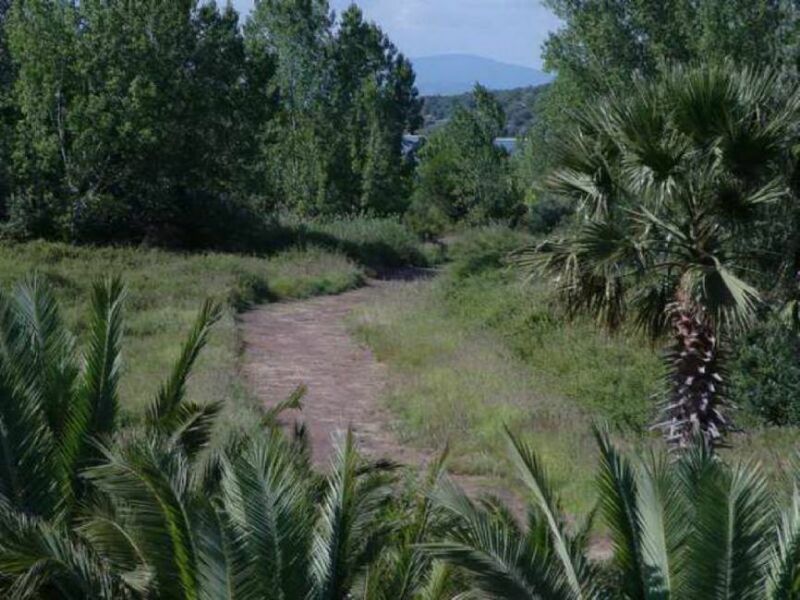 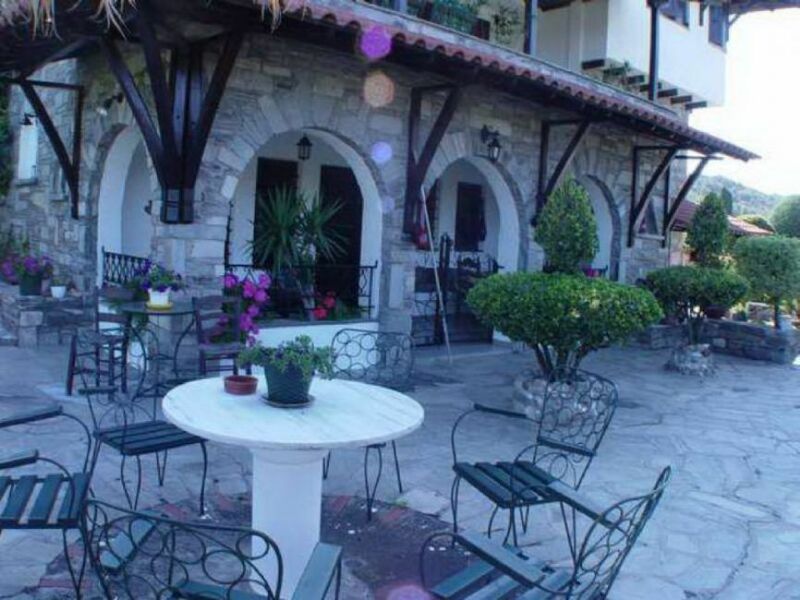 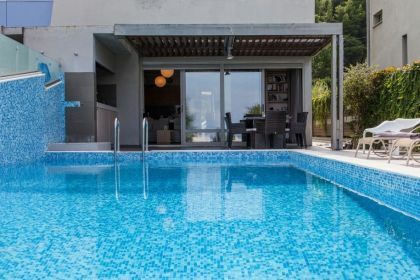 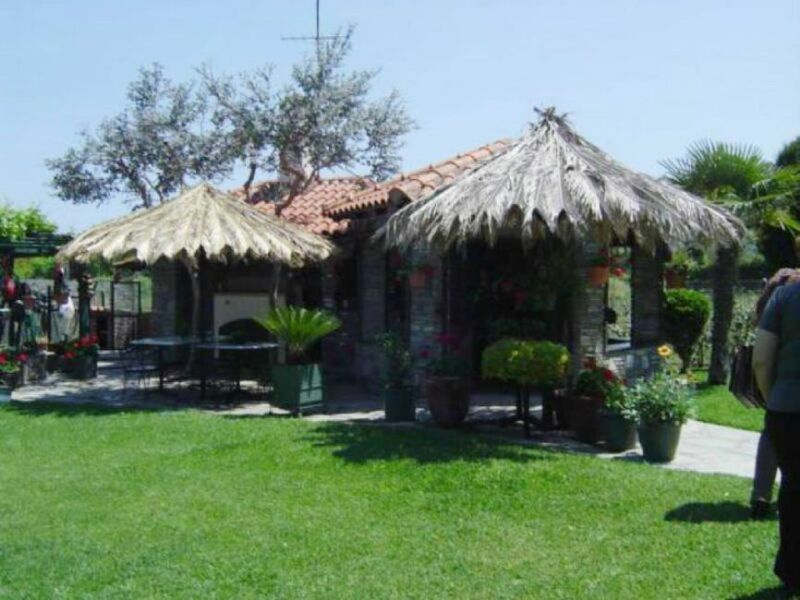 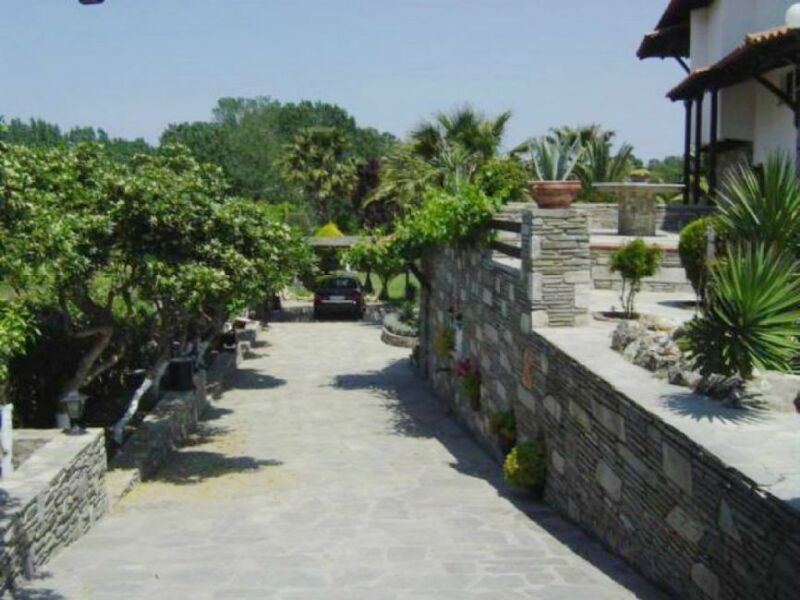 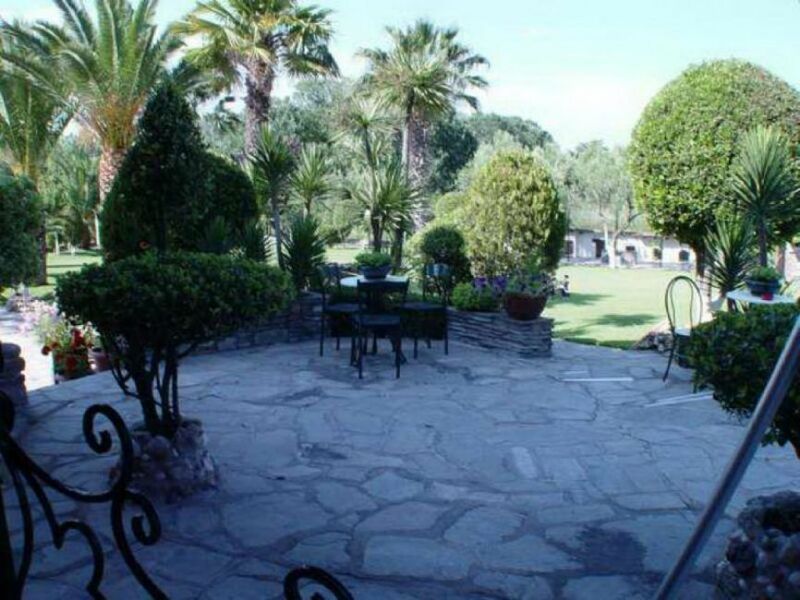 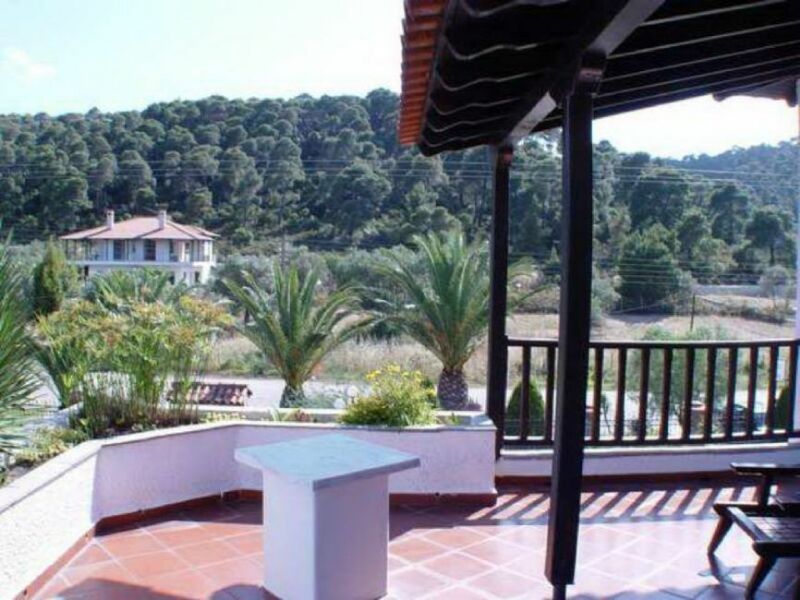 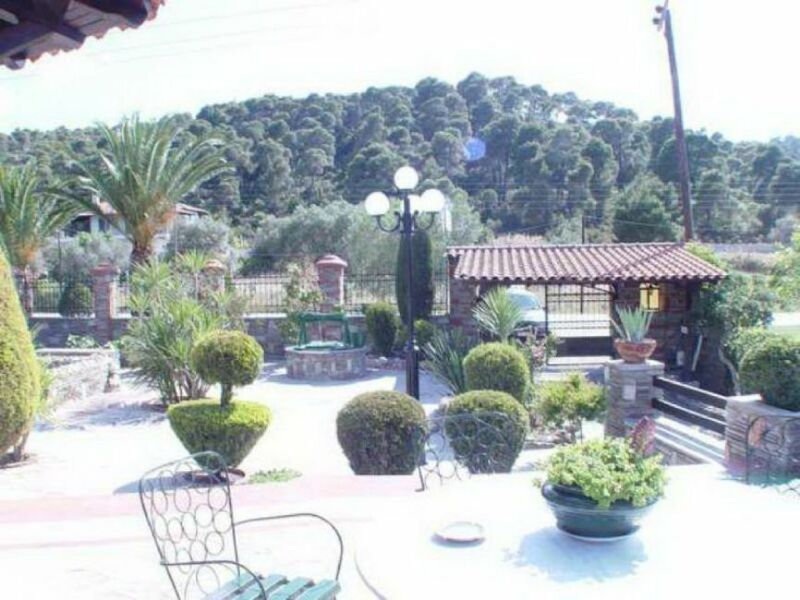 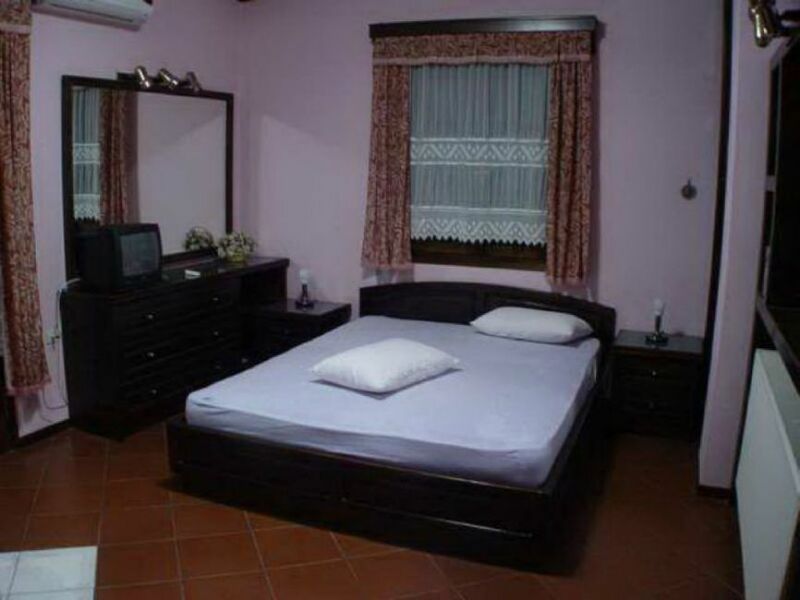 Traditional Greek house of 260 sq m with palm garden is available for rent in Halkidiki, Sithonia. 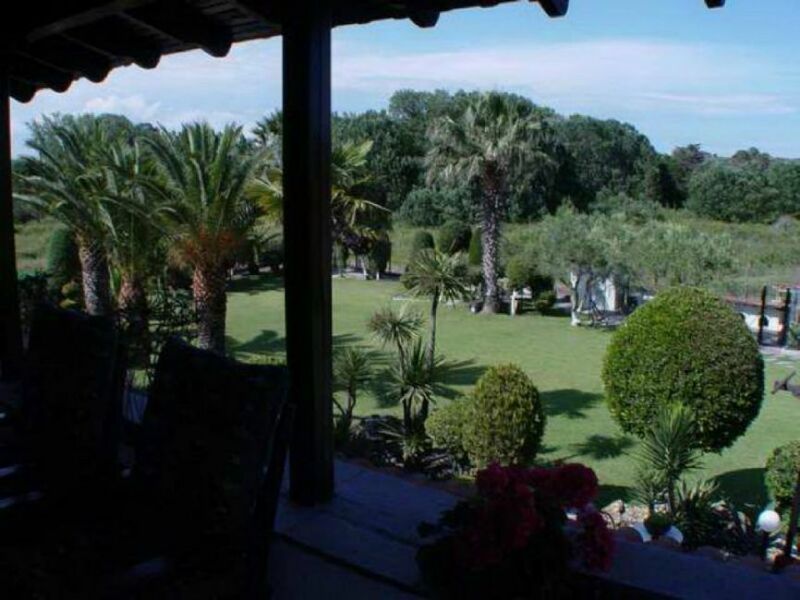 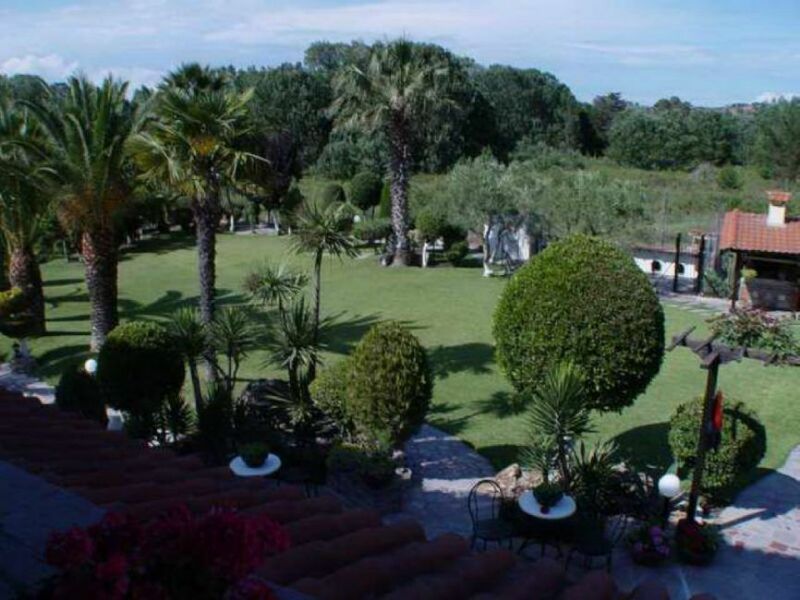 The house stands on a plot of 20 000 sq m and has spectacular views of the sea and green surroundings. 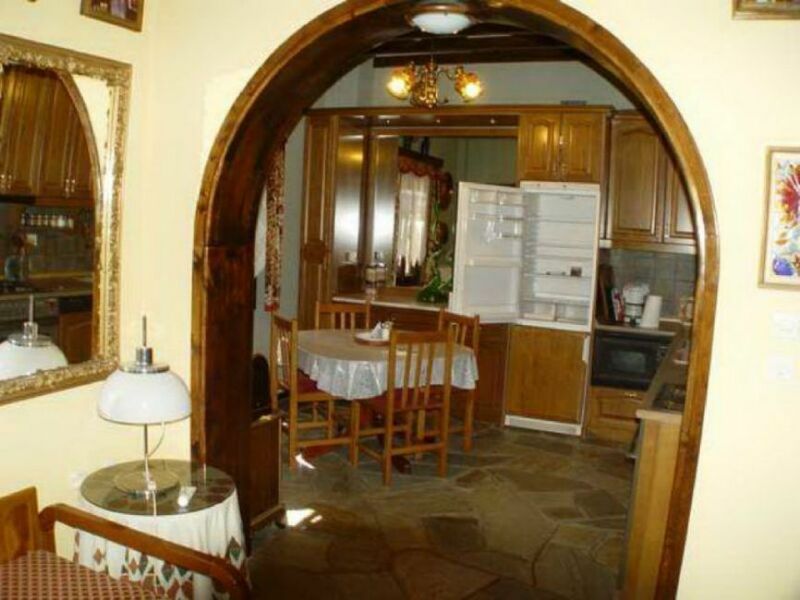 The decor inside the house - a traditional Greek style, outside the villa is decorated with stone. 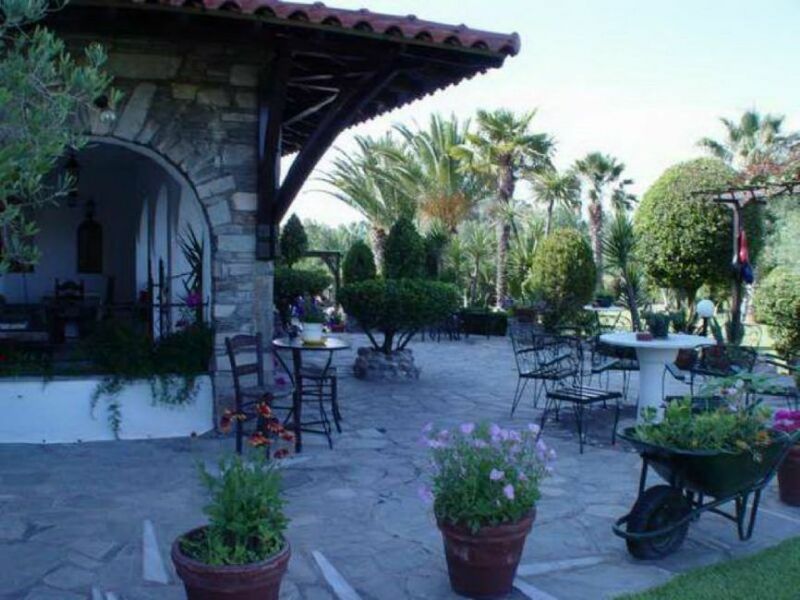 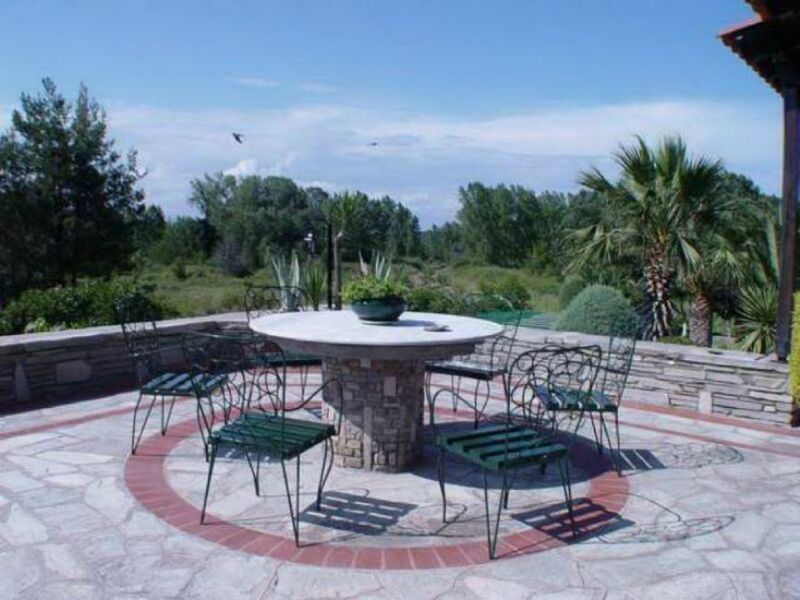 The garden has well organized lovely patio and barbecue at the green lawn. 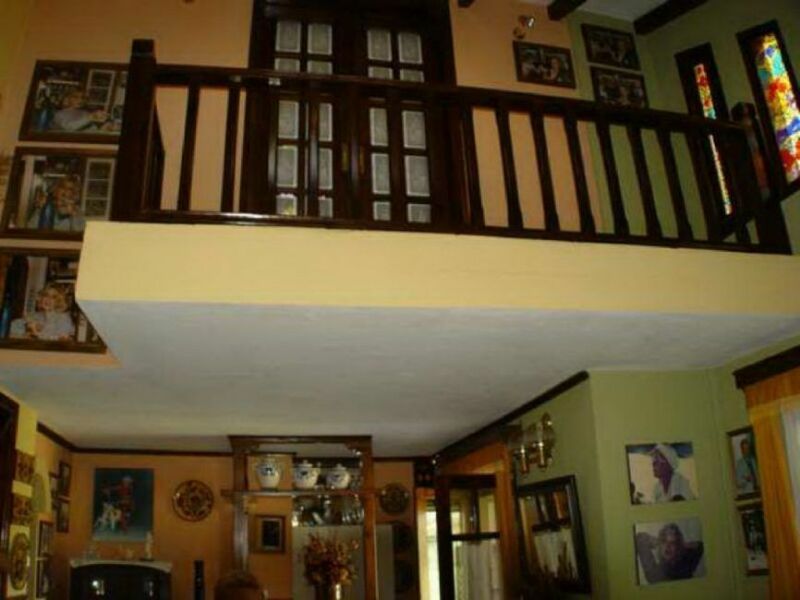 The house has 3 levels, which can be rented separately. 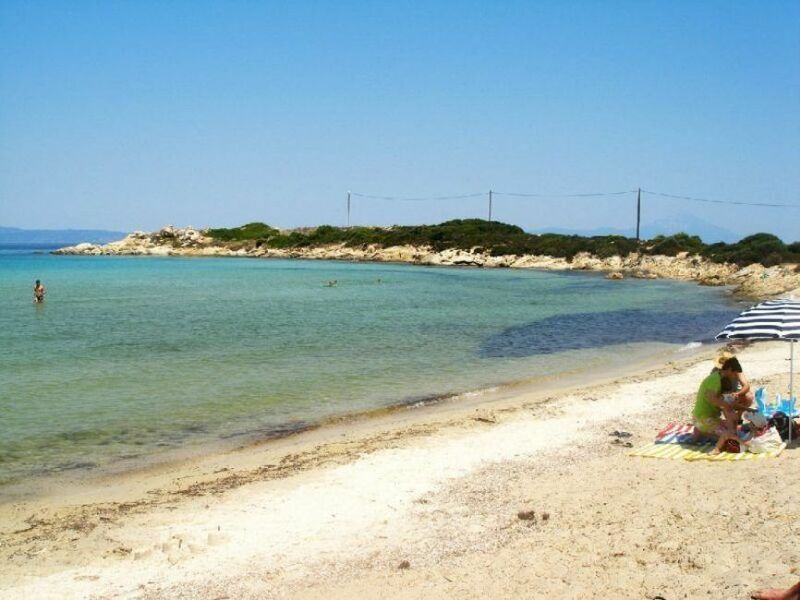 The sandy beach is 300 meters away. 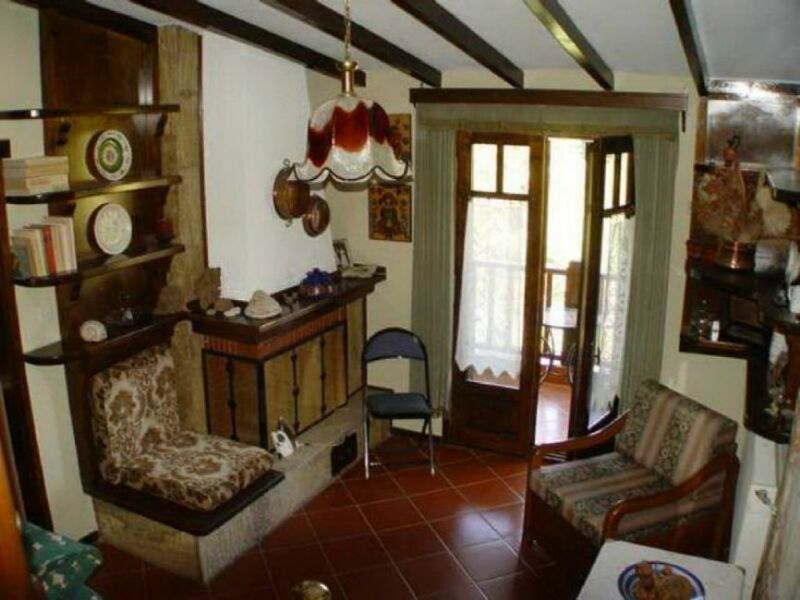 First floor: living room with fireplace, kitchen, dining room, bar, 1 bedroom, bathroom, two balconies. 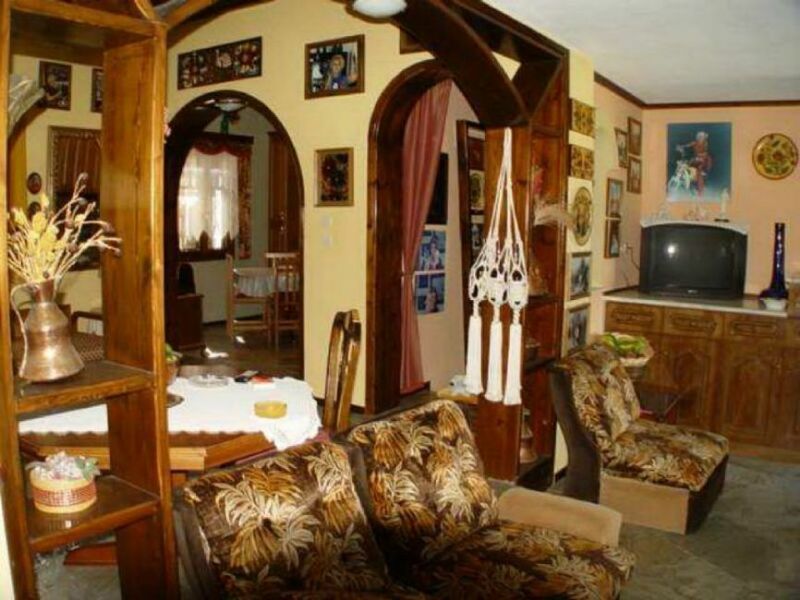 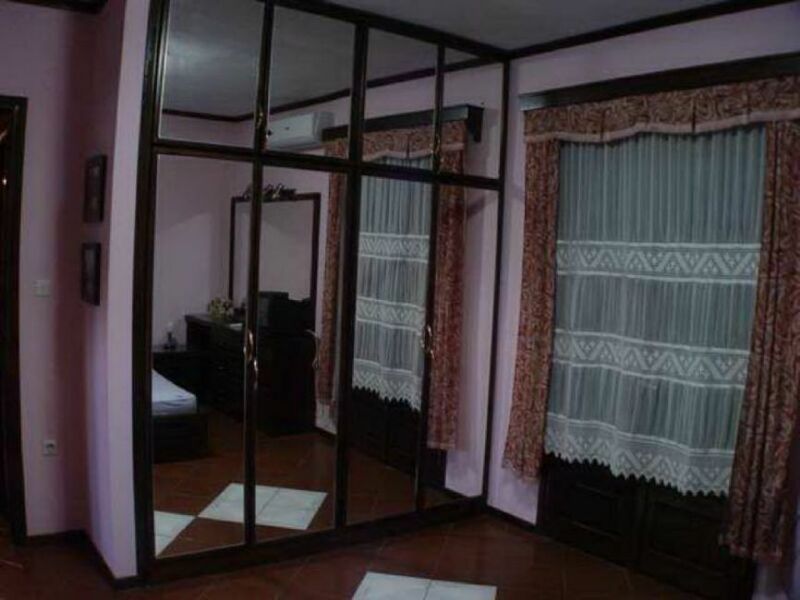 Second floor: small living room with fireplace and kitchen, 2 bedrooms, one with fireplace, 2 bathrooms, 2 balconies. 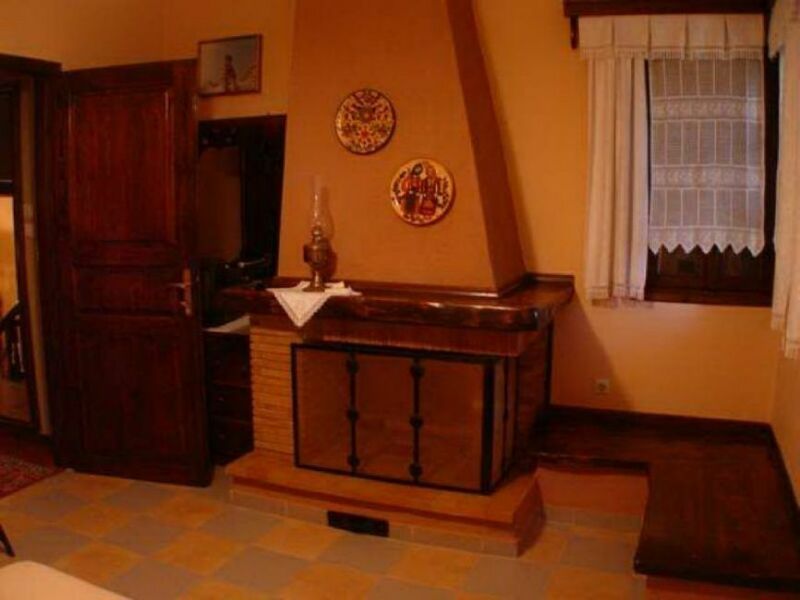 Ground floor (a few steps down): living room with fireplace and kitchen, 1 bedroom, bathroom, terrace. 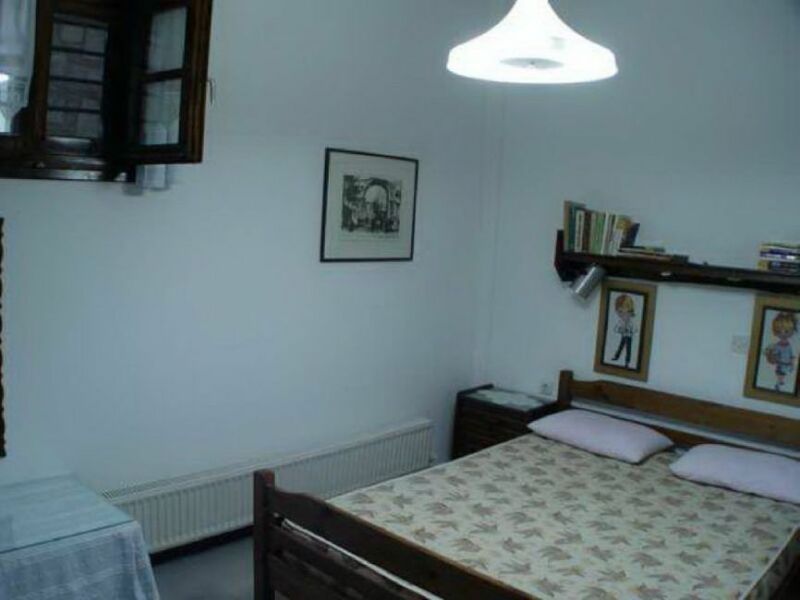 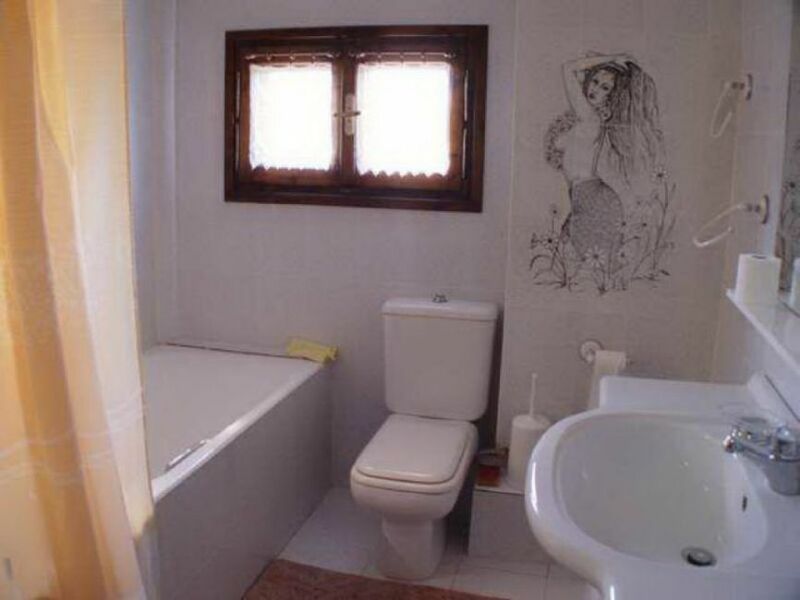 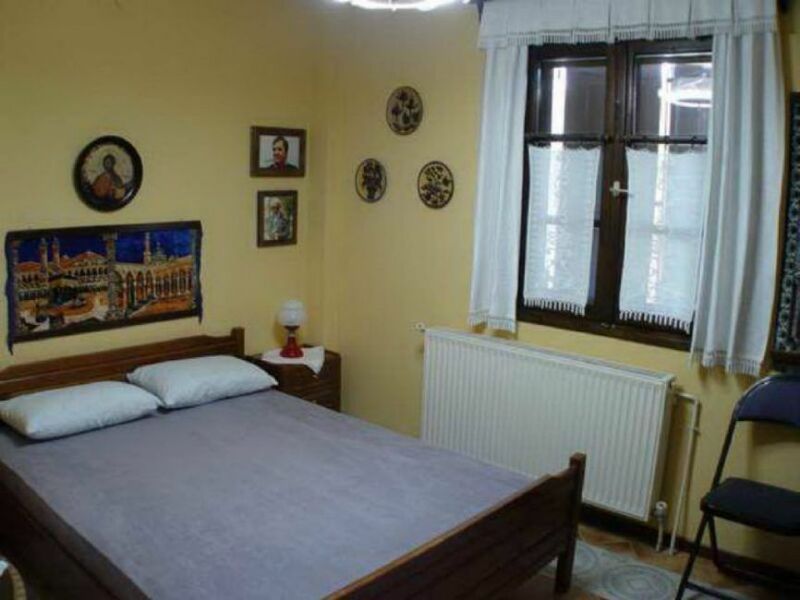 There is also a garage and a separate room for the gardener with the bathroom. 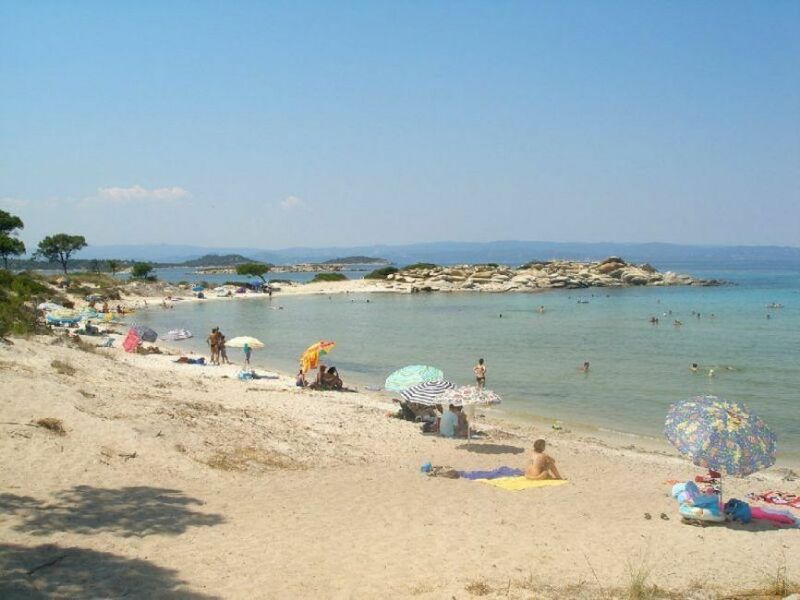 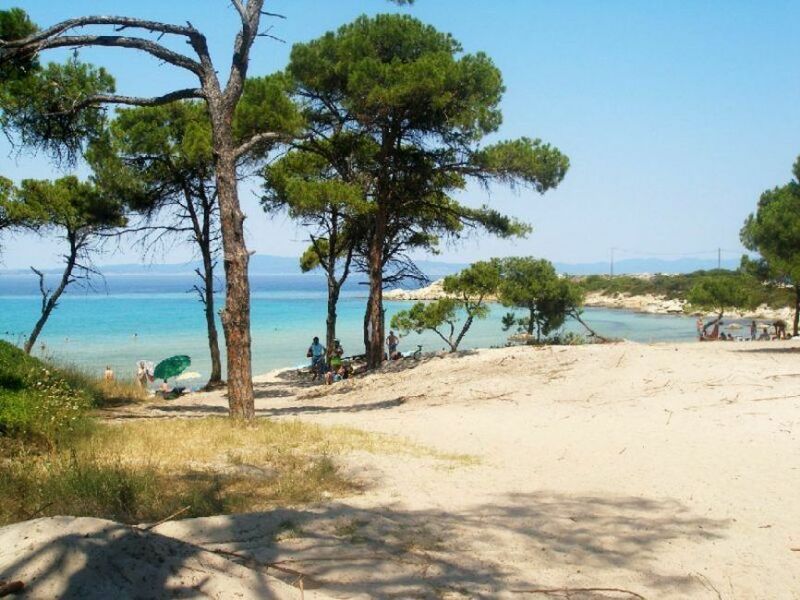 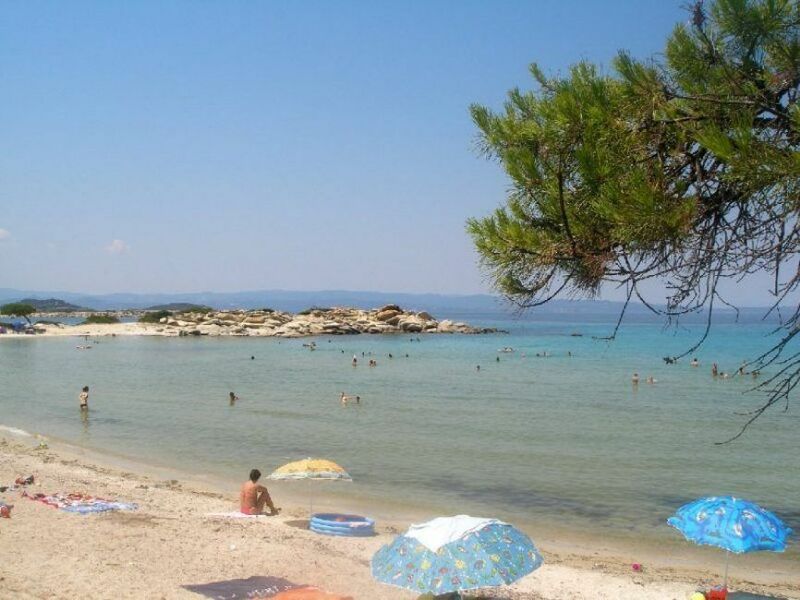 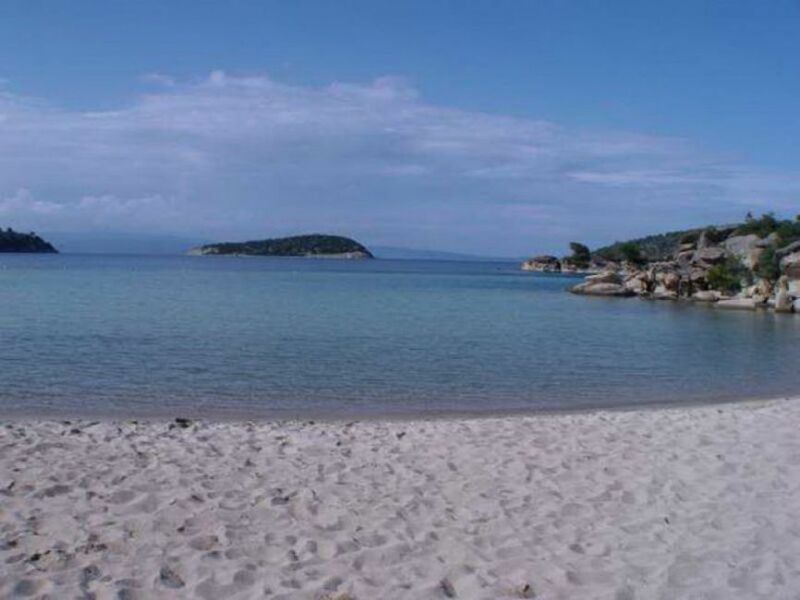 Three hundred meters from the villa there is amazingly beautiful bay with a wide sandy beach.